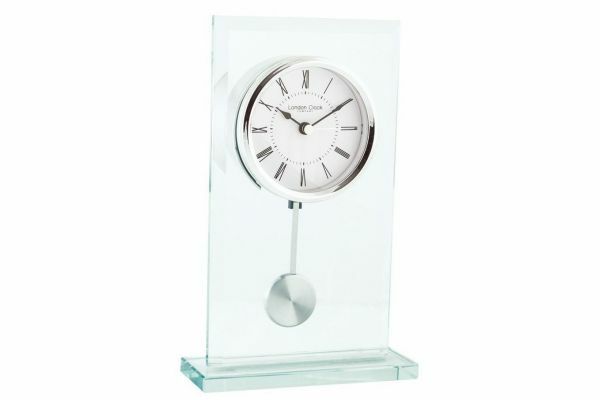 This stunning mantel clock is brought to you by London Clock as part of their Glass Pendulum collection. Featuring a 22cm rectangular glass case with a flat top; this striking clock presents with a crisp white dial; sophisticated black Roman numerals and a polished chrome bezel. A brushed pendulum swings beneath the dial. Powered by Quartz battery movement this classic mantel clock is ideal for use in both the office and at home.